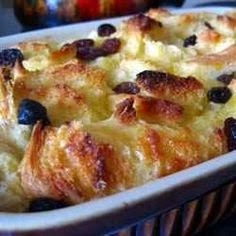 My family LOVES bread pudding, and this recipe is one that I have fine tuned to their taste. I have to double this recipe, and bake it in a 9x13 inch pan for my family! It's great for breakfast or dessert and is delicious with milk poured on top! Enjoy!